...is so far the most neglected room, design wise of course, in our house. 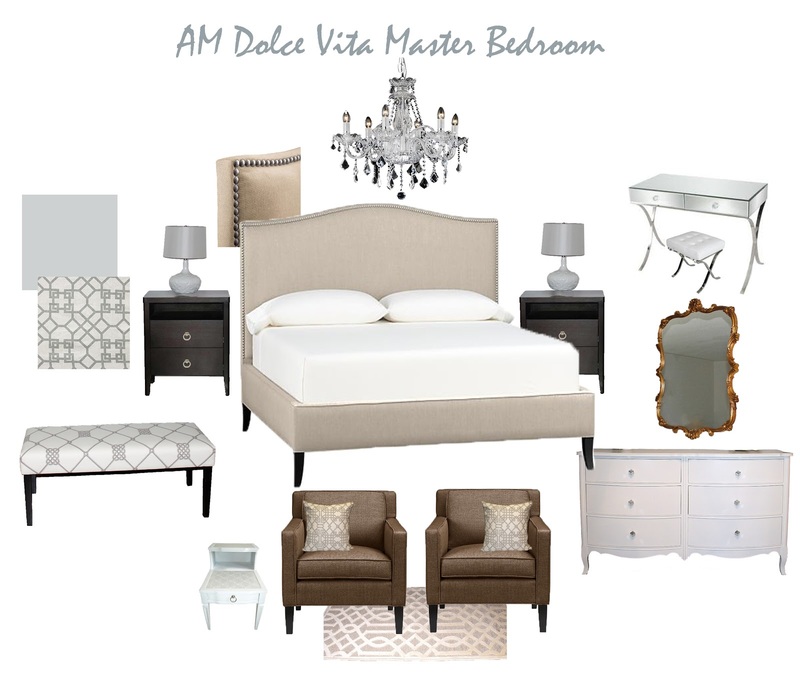 I took a short break from our basement project and started to put together elements contributing to my dream master bedroom. The first up is drapery. 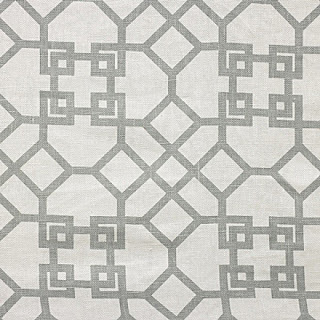 I ordered 12 yards of this ever-popular (and darn expensive) Windsor Smith Pelagos fabric in Mist from the States. Overwhelmed by the excitement when it arrived, I started to cut them into panels at 108" in length each. It's not until I got to the last piece before I realized that oops, I only had about 80" left for the last panel, and that's not going to work. 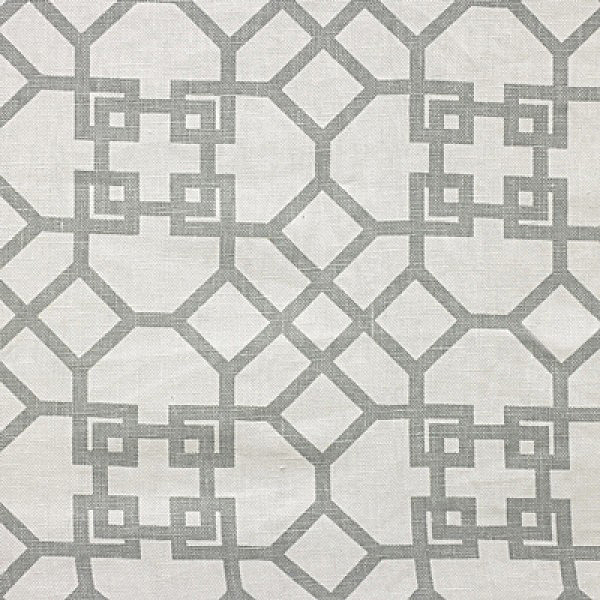 I phoned the fabric store and after one week of back-and-forth phone calls, they finally admitted it's their oversight and that they would ship out another 3 yards as long as I covered the shipping. If I thought that was a struggle I needed to think again -- it was only the beginning of a bigger nuisance. The fabric was shipped by a courier with the company sounding like "OOPS". The courier somehow misplaced the correct invoice so when they showed up at my doorstep they wanted almost $100 in broker & duty before they would release the package. It was supposed to be FREE and there shouldn't be any duty or broker fee involved since I paid for the shipping in full. I had to reject the package, and of course it was sent back to their depot for re-rate. One month later, yes folks, ONE FRIGGING MONTH later I finally received my last 3-yard of fabric! This courier company appears to be such a big well greased machine yet it couldn't handle any non-standard hiccup like this efficiently. Anyhow, back to the positive thoughts. The drapes have been made and I will share some pictures later. 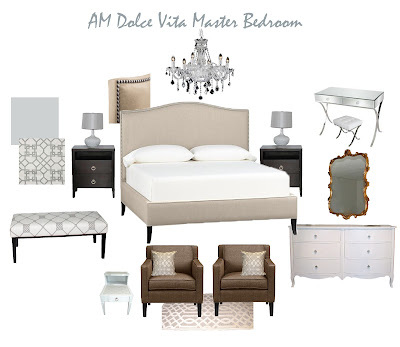 As usual, I can't design a room without a mood board, so here you have it, my master bedroom design plan. I will post some Before & After pictures when I am done. Hope y'all have a great weekend.